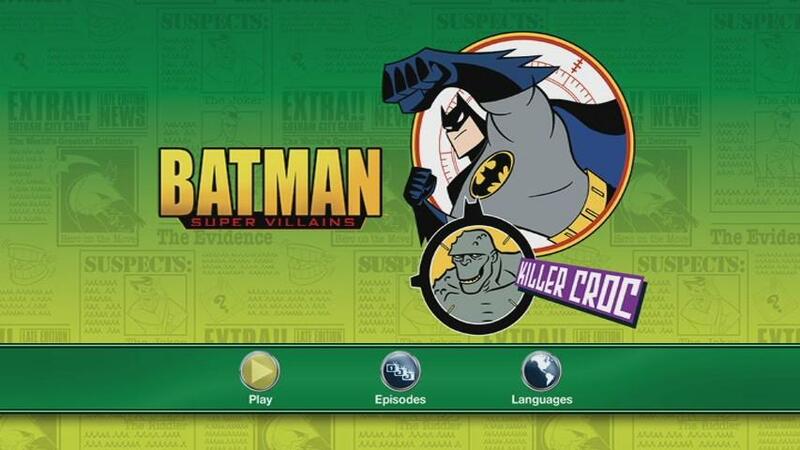 Continue below to view the menu screens from the recent Batman: Super Villains – Catwoman and Batman: Super Villains – Killer Croc single-disc compilation DVD titles. 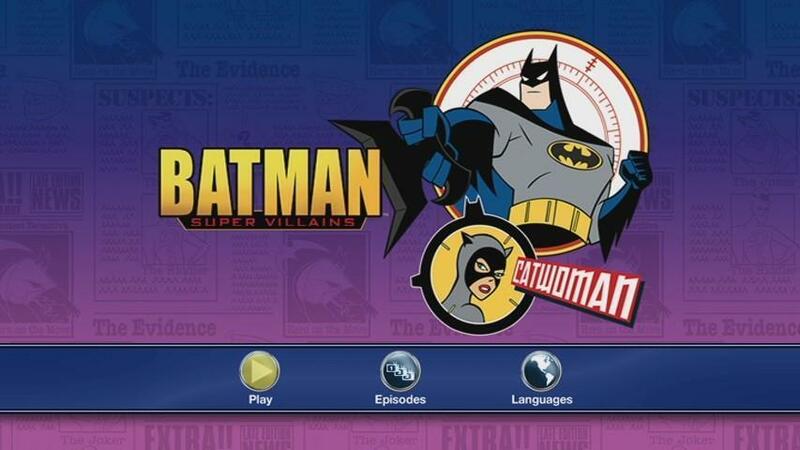 The DVD releases, priced low and marketed as impulse purchases, collect three episodes from Batman: The Animated Series featuring a specific villain. No additional bonus content is added. Both titles were released earlier this month. Click on the thumbnails below to view the menu screens. Official press details are also below. Synopsis: From the shadows of Gotham City emerges one of Batman’s most deceptive foes, Catwoman. A cunning jewel thief with an agenda of her own, Catwoman holds a mysterious allure for the Caped Crusader, an allure that can be deadly! Pick up the trail with 3 exciting episodes starting with The Cat and the Claw, Part One. Batman foils Catwoman trying to steal a valuable necklace she intends to sell to buy a mountain lion preserve, but it seems a certain underworld group, led by the mysterious Red Claw, has its sights set on the same piece of land. 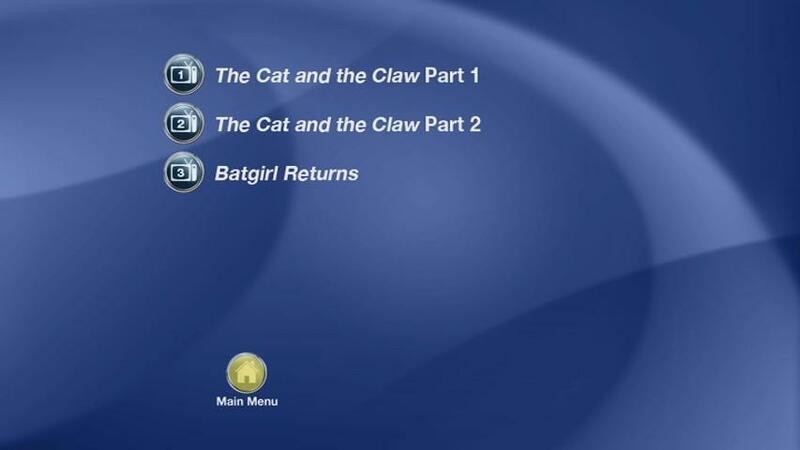 With Batman and Catwoman forced to work together in The Cat and the Claw, Part Two, the unlikely duo has their hands full in a showdown with Red Claw. 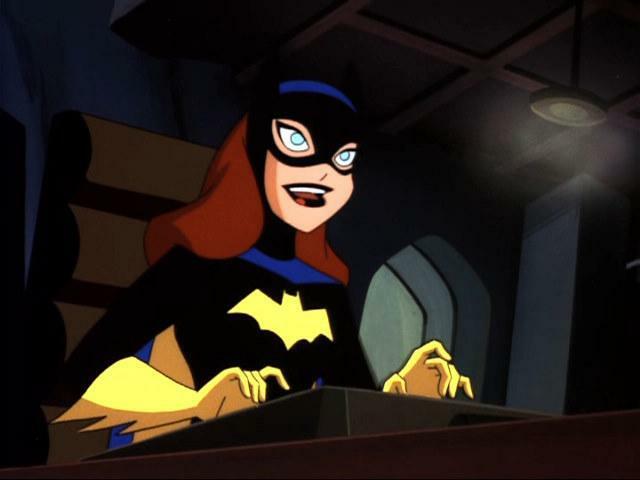 Finally, witness Batgirl Returns, as Barbara Gordon once again dons the mask of Batgirl to investigate the theft of a prized jade statue only to find Catwoman already on the case. Together, with a secret ally in tow, they unravel a mystery with far greater implications. So, crack the whip and steal away to Gotham City for some adventure with Batman and Catwoman! Synopsis: Lurking in the sewers of Gotham City is Killer Croc, a terrifying half-crocodile man with a craving for crime. In Vendetta, Killer Croc has kidnapped a key witness set to testify in an important trial, and it’s up to Batman to save the day. Even criminals need a friend in Love Is a Croc when a washed-up TV actress named Baby-Doll takes a liking to Killer Croc. They make a home in the sewer and become partners in crime – but Batman, along with Batgirl, has other plans for them. Judgment Day introduces a faceless vigilante who calls himself The Judge and wreaks havoc upon Gotham’s super villains. Can Batman unmask this mysterious Judge and save the lives of the very super villains he has fought to jail? 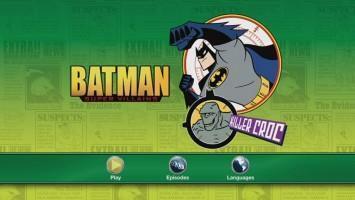 Take the plunge into the depths of Gotham City for killer adventures with Batman and Killer Croc! Stay tuned for further updates on other home titles from Warner Home Video spotlighting DC Comics characters here soon at he World’s Finest. 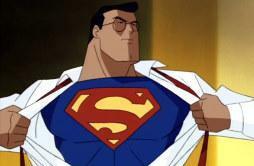 The Hub is scheduled to re-air the three-part Superman: The Animated Series series opener in November 2012. According to schedule details provided by the network, the three-part episode “The Last Son Of Krypton” will kick off beginning November 14th, 2012 at 9:00am (ET/PT). Superman: The Animated Series joined The Hub for the Fall 2012 schedule, replacing Batman Beyond on the network’s schedule. Continue below for specific episode details of the three-hour mini-marathon. Superman: The Animated Series airs regularly Monday – Friday at 9:00am (ET/PT) on The Hub, with additional airings throughout the week, including Monday – Thursday at 6:30pm (ET/PT). 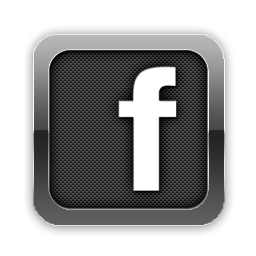 Stay tuned for further updates, including schedule updates and exclusive content, here soon at The World’s Finest. Further details on Superman: The Animated Series is available at The World’s Finest. 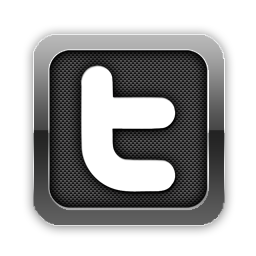 Stay tuned for further updates and coverage right here at The World’s Finest. A representative for Cartoon Network has confirmed that – beginning Saturday, November 3rd, 2012 – Young Justice will be part of the Boomerang network line-up. 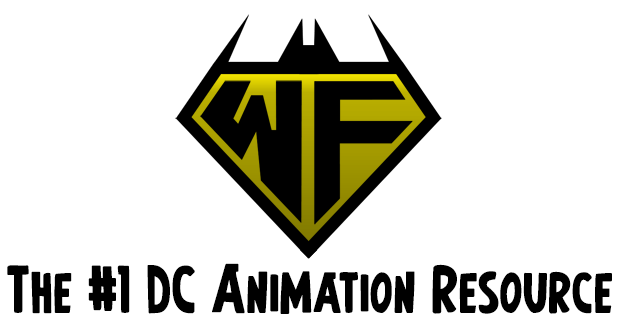 The animated series was recently removed from the Cartoon Network schedule – along with Green Lantern: The Animated Series and the entire DC Nation programming block both series were a part of – for unexplained reasons earlier this month. 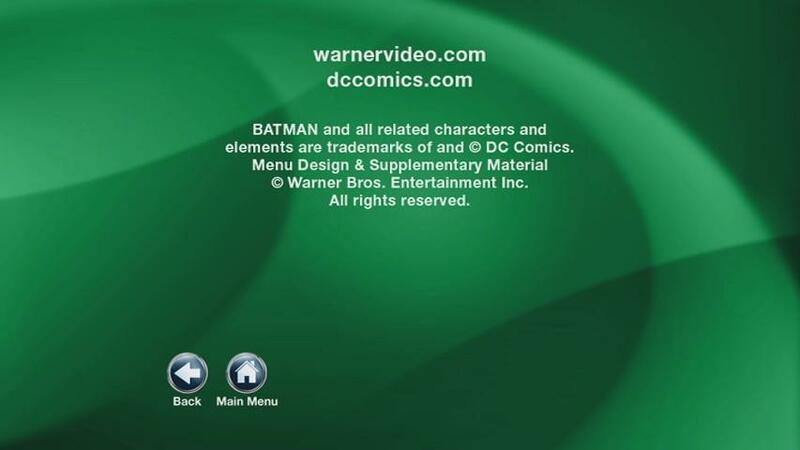 The removal of DC Nation – and its accompanying programming – caused an uproar among creators working on the programs and fans. Two back-to-back episodes of Young Justice will air Saturday nights at 9:00pm (ET/PT) on Boomerang. The episode “Misplaced” will air November 3rd, 2012 at 9:00pm (ET/PT), followed by “Coldhearted” at 9:30pm (ET/PT). 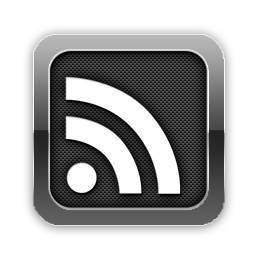 The remainder of the November 2012 airing schedule is set for release later this week. According to the Cartoon Network representative, adding Young Justice to the network line-up is being done to allow fans and viewers to get caught up with the series before the return of the DC Nation programming block come January 2013 on Cartoon Network. Young Justice is currently not being considered a permanent addition to the network schedule. There is currently no official confirmation if Green Lantern: The Animated Series will also join the Boomerang network line-up. Starting November 3rd, 2012, two back-to-back episodes of Young Justice will air Saturday nights at 9:00pm (ET/PT) on Boomerang. Boomerang is the specialty spin-off channel from Cartoon Network, airing a wide selection of animated shows from the Time-Warner and Cartoon Network library. Episodes from the first season of Green Lantern: The Animated Series, consisting of episodes #1 – 13, are set to air during November 2012 on the Canadian Cartoon Network channel. The network, which launched Summer 2012 in Canada, airs Green Lantern: The Animated Series Saturdays at 10:30am (ET/PT) and 8:00pm (ET/PT) and Sundays at 8pm (ET/PT). The first thirteen episodes of Green Lantern: The Animated Series aired on Teletoon, an animation-based network exclusive to Canada, before moving exclusively to Cartoon Network Canada. November 2012 schedule details, courtesy of the network, can be found below. Aya reveals that she can download her sentience into a robotic body. Hal challenges a brutal warrior alien for the hand of the planet’s princess! 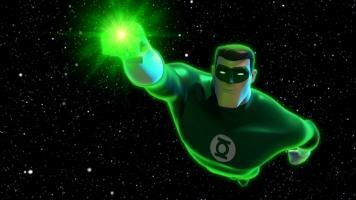 Green Lantern: The Animated Series airs Saturdays at 10:30am (ET/PT) and 8:00pm (ET/PT) on Cartoon Network Canada. Green Lantern: The Animated Series is currently on hiatus on the American Cartoon Network station. Details on estimated comics sold to North American comic shops during September 2012 have been made available, including sale numbers for the comic titles inspired by the acclaimed Young Justice and Green Lantern: The Animated Series cartoon titles. DC Comics released Young Justice #20 and Green Lantern: The Animated Series #6 in September 2012, with sales numbers for both titles below. Green Lantern: The Animated Series #6 moved an estimated 6,625 copies to North American comic book stores during the month of September 2012. The comic title has experiencing a steady erosion of sales since its debut earlier this year, though the performance is standard in the current market. Sales will likely settle around the standard 5,000 – 6,000 range, normal for all-ages titles, within the coming months. Sales for Green Lantern: The Animated Series #0 – the special preview issue of the title – hit 13,600. The September 2012 issue of Young Justice, issue #20, sold an estimated 7,515 copies to comic shops in North America. The title has been experiencing a slow growth in sales from month to month for the past year, usually an addition 1% jump per issue, though the switch to the second season Young Justice: Invasion era of the animated series has resulted in a bigger 5% jump in comic sales. Please note these numbers do not take into account copies appearing on newsstands or sold digitally.